Managed forest landowners must be aware of reforestation obligations for areas where timber has been harvested or destroyed. These areas must be both restocked and successfully regenerated in accordance with Section 31 of the Private Managed Forest Land Council Regulation (Council Regulation). Section 31 of the Council Regulation sets out reforestation requirements including definitions, timelines, and exceptions. See the Council Regulation here for the complete regulatory requirements for reforestation of areas where timber has been harvested or destroyed. Restocking and successful regeneration obligations are a frequent topic of discussion during managed forest field inspections. 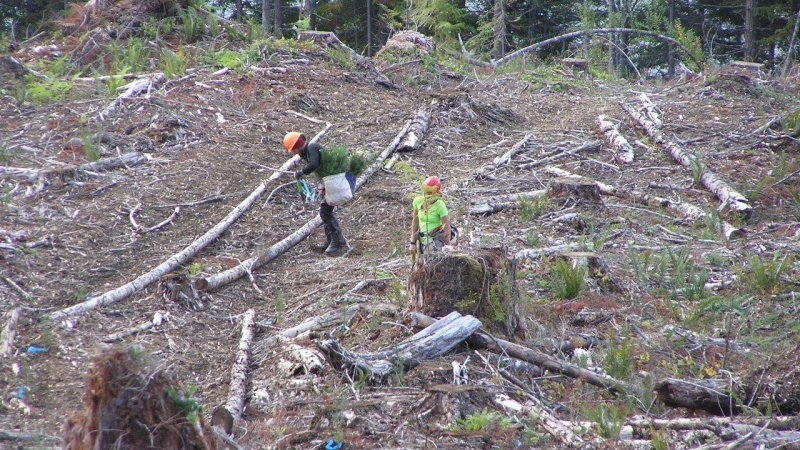 Inspectors have noted areas with significant challenges that are hindering restocking and successful regeneration within the required timeframes, including delayed planting and lack of natural regeneration, brush, deer & elk browse, and pest damage. Owners need to consider site specific environmental factors and challenges to develop strategies that will ensure their reforestation obligations are met.